The secret to having children with a good attitude towards school is for you, the parent, to have a great attitude towards school. While the connection between your attitude and your child's attitude make sense, it was also noted in a review of several years of educational research. In “The Broken Compass” by Angel Harris and Keith Robinson, parental attitude is one of the largest influences on school success. Here are three strategies that Harris and Robinson found to be effective in creating a positive attitude towards school. Research suggests that the cause of academic success in upper-middle-class children is due in part because these children live in communities where they are not only told the importance of education, they also see and experience it during their interactions with adults. For example, if children see or hear their parents and other adults sharing stories from their college years, the children absorb the message that education is important and will be a fond part of their young adult life. Interestingly, Harris and Robinson also found this positive effect at work in some families who are considered poor. The researchers found that many Asian families, regardless of financial status, will still find ways to communicate the value of education to their children. Fortunately, you do not live in a rich neighborhood or spend your weekends hanging out with doctors and lawyers to let your children know that education can bring financial and social benefits to your child. Ways You Can Do It Talk with your child about your own experience with school. Let them know what worked for you and if something didn’t work, what you would do differently. Your child will get to know you better and hear directly from you about the role education has played in your life. Keep the conversation focused on how doing well in school leads to success and increased opportunities later on in life. Another major predictor of school success is parent's expectations about how their children will do in school. 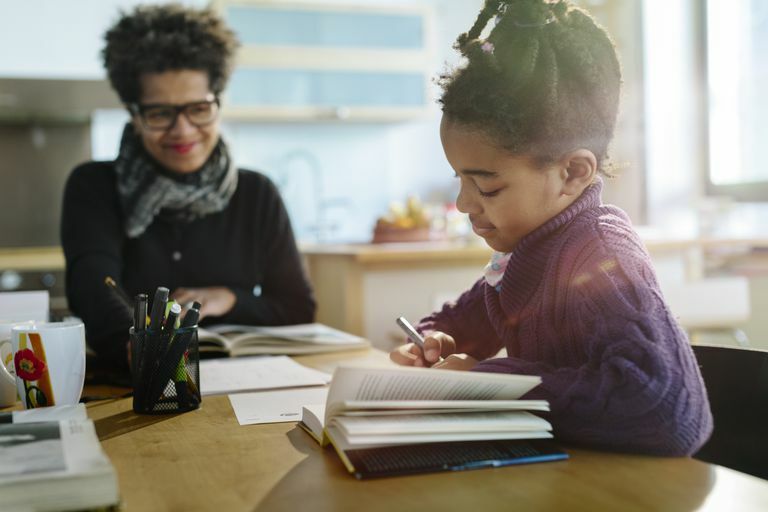 A meta-analysis by the Harvard Family Research Project of 77 education research studies showed that high expectations by parents is the greatest predictor of student success in school. What this research suggests is that children and teens succeed in school because it is what their parents expect from them. Researchers defined high parental expectations as believing that children would go beyond earning a high school diploma and attend college or other post-secondary education. Ways You Can Do It You can have high expectations for your child by expecting that your child is capable of learning the material being presented in school. While almost every child struggles at some point in school, struggles can be overcome by developing new habits or getting extra help when needed. A growth mindset is the belief that people become smart and successful by working hard to learn. Growth mindset is compared to a fixed mindset, where someone believes that people are born with an ability and it cannot be changed. People with a growth mindset will put time and effort into learning because they know that is what must be done to learn new material. People with a fixed mindset are likely to give up on a new task since they believe little can be done to improve. Ways You Can Do It Help your child to have a growth mindset by sharing with them how regular practice and effort will lead to the gain of knowledge and skill. Avoid telling your child that they are not good at a particular subject, like math. Instead, talk with them about what actions take to improve. Another way to foster a growth mindset is to take a positive view when your child doesn't know something. Point out that finding out the answer is learning, which is how they become smarter. This places the focus on constant learning rather than valuing previous knowledge. Remember, a growth mindset is one that focuses on how effort and actions are what produces success. The way the above ideas influence your child's outlook is through your own expression of values. These values come through when you talk with your child about school and get involved in their education. Parents have a variety of actions they take that demonstrate attitudes and values. Whether that action is following up on homework or trying to help your child when they struggle, a positive, can-do attitude will be helpful over a negative, judging attitude. This applies to how you talk to your child, but also how you talk about your child's teachers in front of your child. If you are frustrated with anything happening at your child's school, find a positive way to address the issue. Teachers have very busy, often stressful jobs working with a variety of children with a range of needs. Even the best teachers make mistakes sometimes. If you think it is important for something at your child's school to change, find the time to calmly bring up the issue to your child's teacher to learn more and what can be done. Harris, Angel L., and Keith Robinson. The Broken Compass: Parental Involvement with Children's Education. N.p. : Harvard U Press, 2014. Print. Jeynes, William. "Parental Involvement and Student Achievement: A Meta-Analysis / Browse Our Publications / Publications & Resources / HFRP - Harvard Family Research Project." Parental Involvement and Student Achievement: A Meta-Analysis / Browse Our Publications / Publications & Resources / HFRP - Harvard Family Research Project. Harvard Family Research Project, Dec. 2005. Web. 29 Sept. 2016.